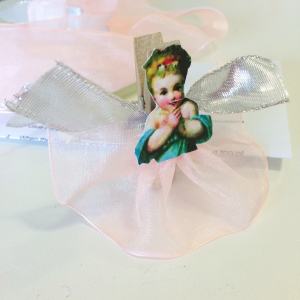 Besides design, we also love being creative with other crafty projects and we encourage our clients and their families to do the same because playing with glue, paper and sparkly bits has some definite stress-busting qualities. 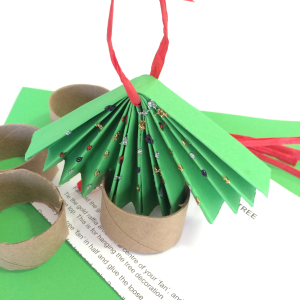 So, with the Christmas holidays around the corner, and to encourage creativity, help you destress and connect with your kids, we've put together a bunch of Christmas craft packs that you can buy from us to have fun with over the upcoming December holidays. Orders need to be placed and paid for by the end of November and will be ready for collection during the first week of December. We will deliver on bulk orders of over R500. Just drop us an email with the packs you want to design@cosmic-creations.net and let the fun begin! Everything is included for all crafts as well as instructions. You will need to supply your own: stick glue, contact glue, scissors, stapler, selotape, puch, glitter glue. 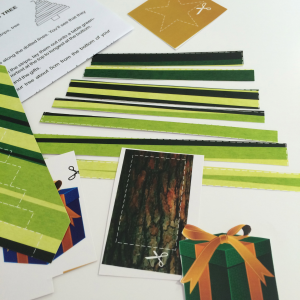 There are 3 separate gift tag crafts in this activity, 5 tags in each pack giving you a total of 15 gift tags to use. 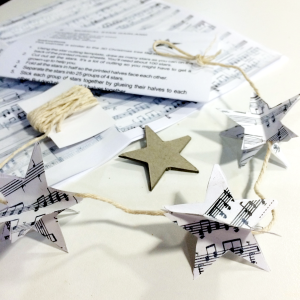 A lovely musical-print 3D star garland to make. Activities: sorting, cutting, folding, glueing, knotting. 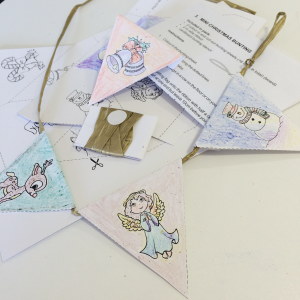 Colour-in Christmas bunting to make and display. Makes 1 bunting strip of 16 flats. 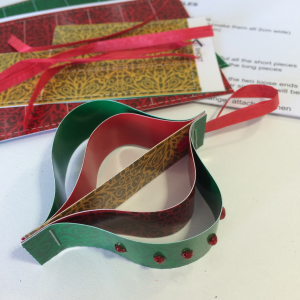 Activities: cutting, folding, glueing, colouring, knotting. A great cutting and sorting activity. Makes 1 tree complete with gifts and star. Activities include: cutting, sorting, glueing. Makes 4 cute hanging Christmas trees. 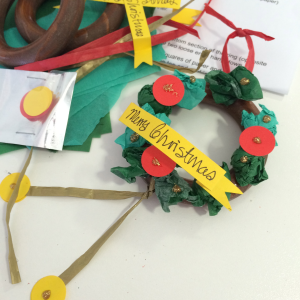 Activities: cutting, folding, sticking and knotting. 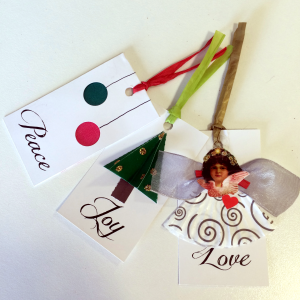 Makes a precious vintage style angel to peg to the top of your Christmas tree. Makes 6 parcel packets to hang onto the Christmas tree. Makes 5 ‘onion’ style cardboard baubles. Activities: sorting, cutting, glueing and stapling. 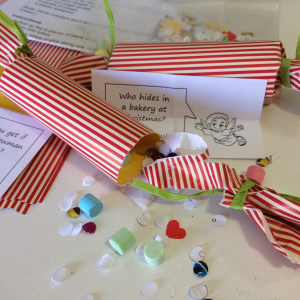 Makes 6 little crackers filled with an angel joke, glitter and sweets. No bang because angels don’t like noise. 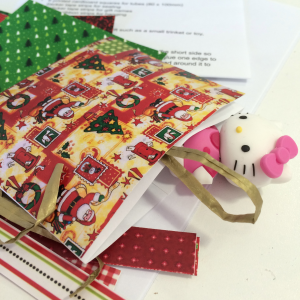 Activities: cutting, gluing, wrapping, taping, folding, knotting. Activities: glueing, folding, crumpling, knotting. 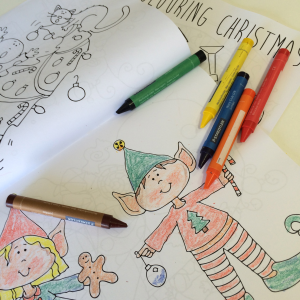 An A4 sized colouring book with 20 Christmas images to colour in.